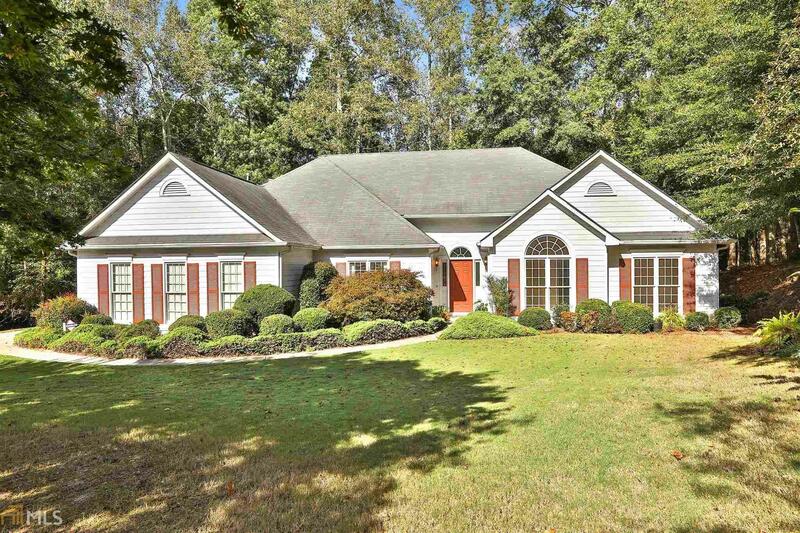 Charming 3 bedroom 2 bathroom ranch in Peachtree City&apos;s highly sought after Planterra neighborhood. Nestled at the bottom of Celadon cul-de-sac, this picture perfect ranch offers splendid curb appeal with beautifully landscaped front yard. Plenty of natural light flows throughout with the added benefit of 2 story foyer and vaulted ceilings in the family room. Open plan kitchen and living space. Master suite benefits from double vanity, separate shower and garden tub. Ideal location just moments from local shops and a stones throw from Line Creek Trail.